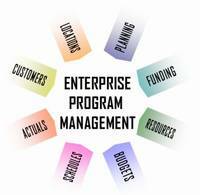 The Web Portal, eCommerce, and Business Management Solution that offers Big Business Functionality at a Small Business Price. Includes everything you need to quickly build, publish, and manage a sophisticated website and automate your back office without programming and without headaches. No software to install. No programming to perform. Instant functionality! Immediate Return on Investment! Includes everything needed to operate an online customer service center to process and manage a variety of interactions including warranty claims, service requests, product returns, maintenance and support requests, project requests, consulting requests, training requests, resource requests, research requests, event planning, questions and assistance with problems. Includes centralized contact database, contact management, sales and opportunity management, quote management, order conversion, quote and order tracking, credit processing and terms management, automated email broadcasting, printed mailing labels, reporting, and more. Supports both retail and wholesale sales. 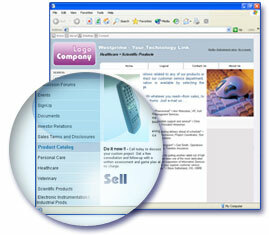 Includes Product Catalog Builder, Item Manager, Bulk Import Tool, Shopping Cart, Payment Processing, Product Search, show Products in Multiple Categories, Comparable Products, Accessories, Related Products, Quantity Level Pricing, Special Customer Group Pricing, Wholesale Pricing, Retail Pricing, Membership Pricing, Price Bids, Unlimited Images and Document Attachments, Digital Product Downloads, and Customized Fields. Fully integrated with online back office functions including, order processing, payment processing, fulfillment, and inventory. Includes everything you need to accept customer requests for quotes (RFQs) both online and offline. Process and price RFQs, submit quotes to customers, accept specialized customer orders, convert quotes to orders, and track the entire process. Sends email notifications to assigned staff. Customize request forms to capture information that is relevant to your business. The Quotation system is fully integrated with the product catalog and order processing. Includes a complete document and file management system. Automated indexing of documents, unlimited categorization with hierarchal navigation, search by keyword, browse by category and topic, limit access to individual documents by group or individual, version control, check-in and check-out tracking, Load HTML, PDFs, Word Processing Documents, Spreadsheets, Zip files, Videos, Images, Music, Programs, Scanned Documents, and more. Includes everything you need to manage your website’s content. Easy to use data entry screens, built in editor, menu builder, table builder, page manager, image catalog, automated file up-loader, bulk loading tools for importing contacts, documents, and products. Easily search, add and edit content. Instantly publish to your website! No programming required. Includes everything you need to promote events and register attendees online. Easy to use event manager provides options to limit registration to members and selected groups, offer free registration, not require registration, collect fees, define unlimited fee types, offer additional products and services, accept credit card payment online, automated payment approval or manually approve payments, pay by mail option, pay at event option, print badges, limit total number of attendees for event or by individual fee type, and provide unlimited information about the event. Also includes event calendar, mini browser of current events on home page, printed reports and more. Includes everything you need to quickly and easily conduct surveys, qualification exams and interviews over the web. Our online survey tool makes it easy to examine data immediately in real time as it is collected. It’s easy to create new surveys. Online surveying is lower cost than traditional methods such as face-to-face, telephone and mail, and eliminates interviewer effects. Conduct regular surveys of employees, customers, vendors and others to assess overall satisfaction or to gain knowledge regarding specific areas of interaction. Offer, promote, sign-up, and manage everything from book clubs to subscriptions; committees to service contracts. Includes customized application forms, approval processing, fee based and non-fee based, initiation fees, recurring fees, payment collection, automated assignment of website privileges, terms, duration, renewals, automated billing, reporting and more. Ofers a standardized transaction engine that is shared by all of PortalProdigy’s feature components including shopping cart, administrative order entry, event registration, time billing, membership billing, exchange fees, etc. Includes automated creation of journal entries with export capabilities to third party accounting systems. Provides online back office processing and management of orders, payments, invoices, customer statements, and reporting. Provides everything needed to manage your inventory online. Track quantity on hand, quantity available, committed quantities, and backordered quantities. Manage fulfillment and relieve inventory. Integrates with your online product catalog to automatically display out of stock message and allow or disallow backorders or optionally hide items from the catalog when out of stock. Provides everything needed to centrally create, manage, fulfill, invoice and report on orders. Perform batch fulfillment or individually fulfill orders. Print picking lists, packing lists, and inventory reports. Fully integrates with CRM features, inventory management, and customer service center. Create promotional campaigns and offer promotion codes/coupons for product discounts, special pricing, buy one get one free, giveaways on minimum purchase, and other offers. Provides automated real time validation of promotion offers at point of sale. Import prospect lists, send email broadcast to targeted prospects and customers, set promotion rules, and track and report on promotion campaigns. 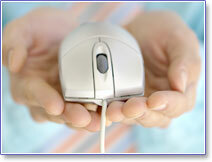 Provides everything you need to advertise jobs and accept job applications online. The job posting feature can be used for internal purposes or used to operate a job exchange. Job exchanges can be used to list both employment opportunities and candidates; perfect for employment and recruiting firms. Postings can be free of charge or on a fee basis. Provides News facility that allows for publishing of individual articles and press releases with option to highlight most current headlines on your Home Page including links to full article and news archive. Also provides a powerful publishing facility which fosters the regular publication of newsletters, releases, briefs, reviews, etc. with consistent format from issue to issue. Newsletters can be sent by email or printed. Fully integrated with contacts database and automated email broadcasting features. Provides everything needed to create, and operate online exchanges for things such as classified ads, bulletin boards, employment opportunities, file sharing, speaker bureaus, etc. Quickly create an exchange with a customized submission form. Postings are automatically indexed and searchable. Exchange postings can be free, membership based, or fee based. Includes options for approval processing, auto expiration, and automated renewal notification. Includes Secure SSL 128 Bit Encryption, limit access by groups and individuals, assign access rights by individual features as well as individual data records, easy to define security groups, allows assignment of users to multiple security groups, ability to assign read only rights, automated assignment of access rights upon membership approval, and more. Instant access to both detailed and summary reports. Create and add your own reports using the popular Crystal Report Writer. Improve you search engine rankings and drive more traffic to your website. Supports user definable Page Titles, Meta tag Description and Meta tag Keywords. Auto generate and inheritance features automate creation of unique Page Titles, Meta tag Description and Meta tag Keywords for each page. Automatically create optimized landing pages and site map optimized for search engines. If you made it this far we commend you. That’s a lot of features to review. It’s also a lot a bang for the buck. Want to schedule a demo? Pricing & purchase? Pre-configured PortalProdigy website solutions that will have you up and running in minutes. The fully web based solution for managing corporate real estate and facilities projects and the capital planning/budgeting process. Designed specifically to serve the needs of corporate management. Includes web portal for accepting project requests, tracking and assignment of requests, request review and approval processing, funding, status reporting, detailed project budgeting, cash flow management, project costing, vendor/contractor management, invoice entry and approval, accounting interface, extensive reporting and more. Build an amazing online community for your association or non-profit organization. Includes everything you need to quickly build, publish, and manage a sophisticated Web Portal and automate the management of your organization, without programming and without headaches. No software to install. No programming to perform. Instant functionality! Immediate Results!